The little label with the biggest impact. Behind a small label on fresh produce is a partnership that changes everything. 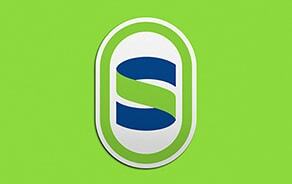 Welcome to Sinclair, the global leader in fruit & vegetable labeling solutions. At Sinclair, we put you at the center of everything we do. 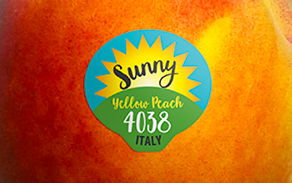 Thanks to our unmatched expertise in the field, we can help implement a custom produce labeling solution to meet your unique needs. Why wait for supplies or technical service? Sinclair has a vast network of field experts on the ground in your market, providing you with support, training and peace of mind. A true partnership with expertise available when — and where — you need it. It’s not just a priority. It’s an operating principle. 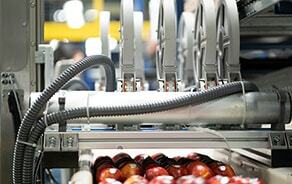 Market leadership through state-of-the-art equipment and label development. For everything we create, we work to minimize footprints along the way. Need a solution that fits your unique needs? Why put a label on produce? From building your brand identity to making it easier for stores to scan produce, labels showcase your brand and product information. Learn all about the value of fruit and vegetable labeling. Find labels based on information requirements. Find labeling systems to fit your operations.